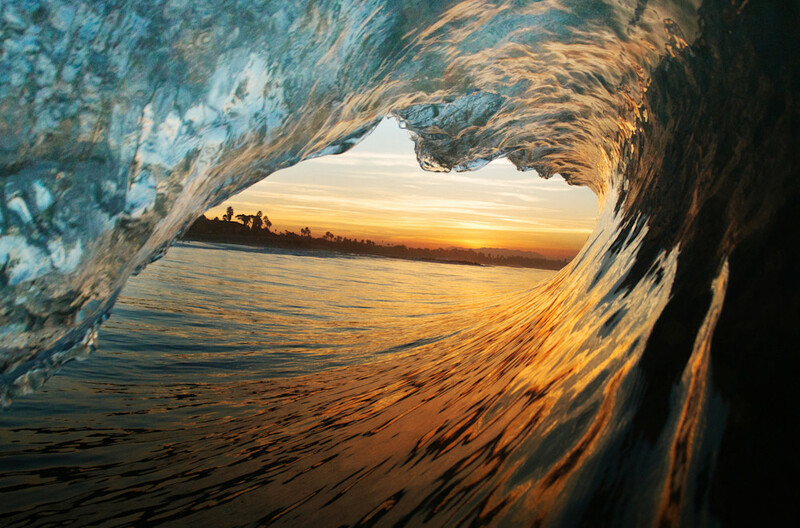 This exquisite wave photograph captured by Steve Munch shares with everyone what it feels like to be in a barrel. The glassy water reflects the glow of a California sunrise and a dream view. While body surfing, Steve uses water housing to protect his camera and capture the highest quality possible so that this image can be enlarge enough to replicate a "life sized" experience. Taken from the inside of a wave near the Ventura pier, the water frames palm trees along Ventura's coastline and Boney Mountain near the Conejo grade.